Facebook tops the list of Glassdoor’s best technology companies to work for in 2017. 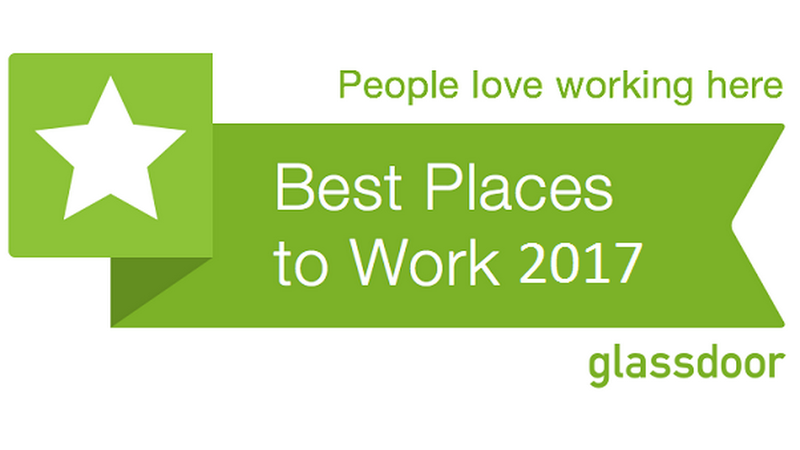 Glassdoor released the list of 50 “Best places to work 2017, Employee’s choice” in December 2016. About 20 tech companies of U.S made it to the list. Facebook topped the tech list with overall second position and 4.5 rating. Google is the second best tech place with 4th position overall and 4.4 rating in the list. LinkedIn is the fifth best tech company and 8th overall with 4.4 rating. Apple and Microsoft grabbed 18th and 19th spots respectively, with 4.2 rating, in tech workplaces. Mark Zuckerberg’s social networking company, Facebook topped the list in 2013. After which, it dropped down. Facebook’s Head of People, Lori Matloff Goler told TechCrunch that Facebook is a strength-based organization which takes good care of its people. The managers help employees to play with their strengths, set goals and provide feedback. They also offer great work packages to the employees. For the list of 50 best places to work for in 2017, click here. The post Top 20 best technology companies to work according to Glassdoor, Facebook on top appeared first on TechJuice.